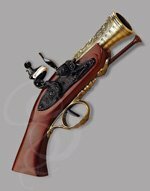 Got a pirate sword or pistol that you want to show off by displaying proudly on your wall? You could spend lots of money and purchase a fancy case or just pound a few nails into the wall and save some bucks. 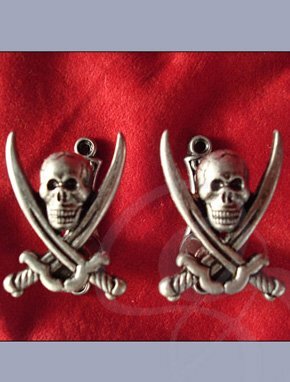 If you are looking for something in between which is a compromise try these pewter pirate hangers. 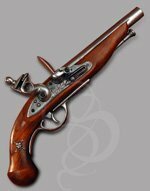 They are classy and very reasonably priced. Included are two hangers which are adjustable up to 1.5 inches. 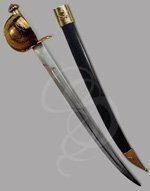 The pistol, sword or dagger mounts balanced between the two hangers.